Merry Christmas! I hope Santa got you the bike-friendly gift you were after. If Junior has got a new bike they’re probably raring to try it out somewhere. 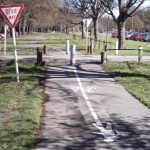 There are various parks and tracks around Christchurch where they can have a blat, but what if you’d like them to work on their street cycling skills? 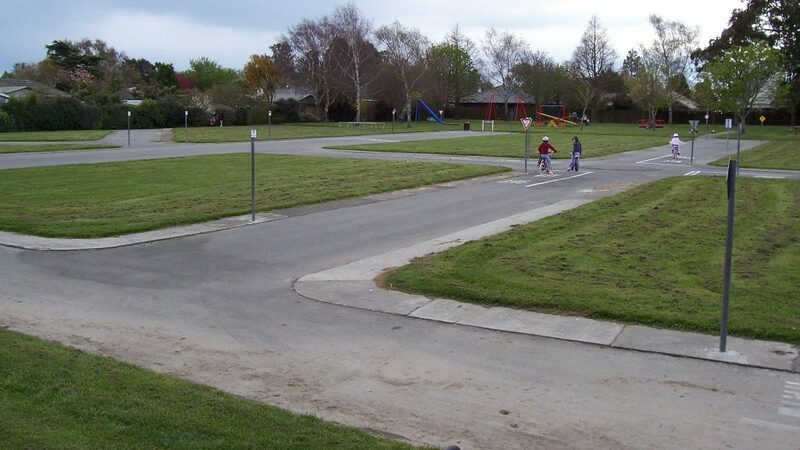 Fortunately, there is a fantastic facility available right here in Christchurch for the kids to try out their “street smarts” in safety – Westburn Reserve in Burnside. This park contains a neat little set of pathways laid out in street network, complete with intersections and street signs. Kids can practice all the basics, like balancing, turning, signalling, and (most importantly) getting past other people without crashing into them! When my kids were a bit younger they adored going here and trying out all the different parts of the network. 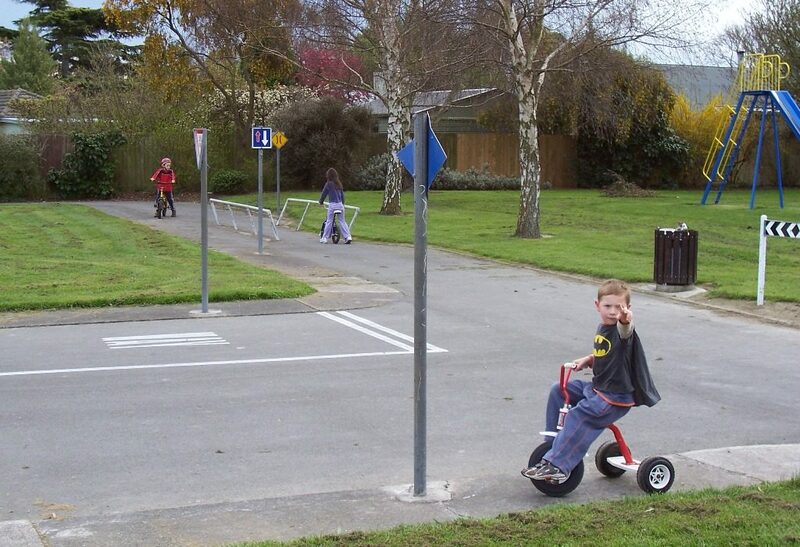 And if the biking gets boring, they can always just have fun on the conventional playground too. If it’s relatively quiet there, then the kids can have a fairly free rein (I seem to recall mine doing “time trials” racing around a circuit of the park). Sometimes however it can get pretty popular and the challenge will be trying to steer clear of other riders during the “rush hour”. 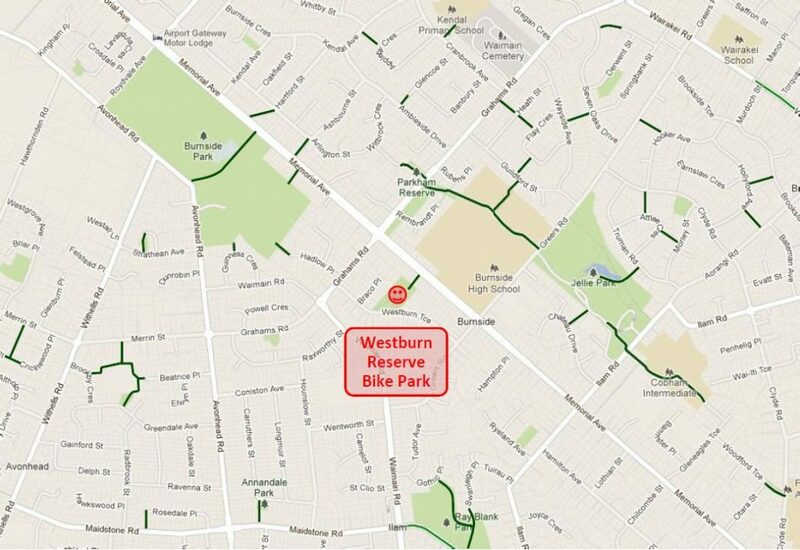 Getting to Westburn Reserve is pretty straightforward. The Park is on Westburn Tce, nestled in between Grahams Rd and Greers Rd. There is also a pathway access to Memorial Ave (opposite Burnside High). If you have kids hankering to try out their bike riding skills on the street, try here first before you let them loose – have fun! I’d have loved that when I was a kid. Really useful tool for training kids on how to cycle safely on roads. There should be more of these around NZ. That’s awesome, can’t wait for my daughter to be old enough to ride her own bike, I’ll be taking her down there for sure. Been here several times with my 2 boys. They love it. Its such a shame there are not more of these around Christchurch. Does anyone know the history behind why this park is the way it is? My google-fu is failing. The Traffic Training school as it was known was opened Sept/October 1961. Think it may have been Sat 30 September. How do I know this? I was part of the opening event there is an article about it in the Christchurch Star. Sat Oct 7 1961. 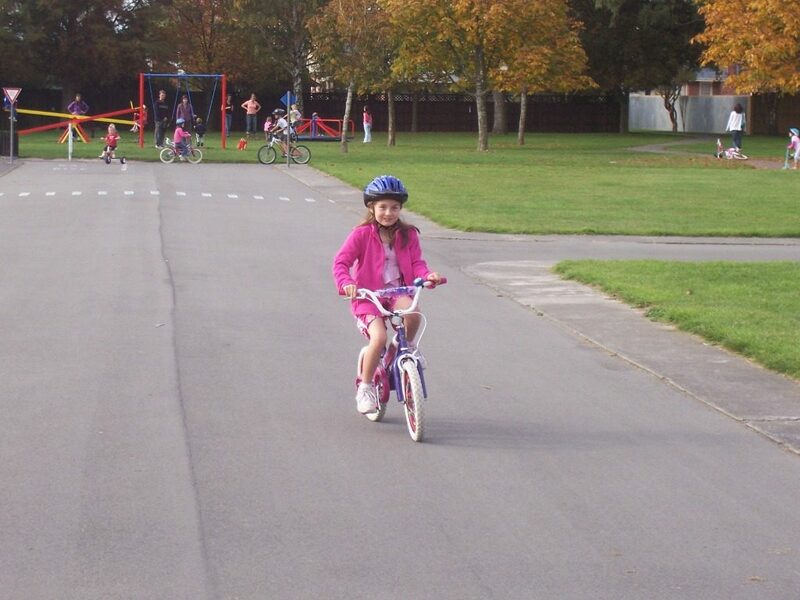 Sixty children from Burnside Primary school took part in pedal pusher cars and bicycles. It was all mapped out as roads including a partial railway line. All signs etc. It was opened by the Minister of Transport at the time Hon.J.K. McAlpine. an accident between a cyclist and car (pedal car) was reinacted with St. John Cadets attending. 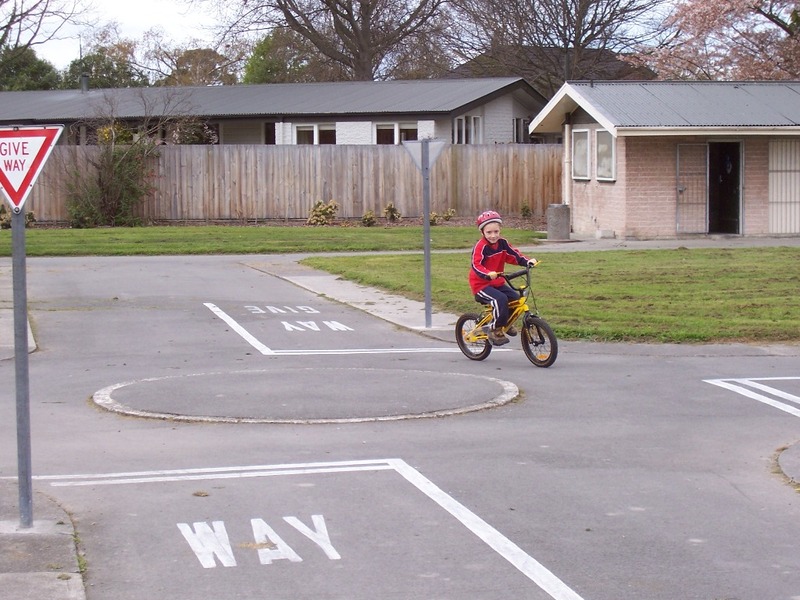 Great place for children to learn to ride safely. I can remember the park from when I was a kid – 40+ years ago. Back then there was also a shed with pedal cars which could be used by (I think) community groups. It was always a treat to go there with our trikes and bikes. My Uncle, Harold Sutherland used to run the park, collect and repair bikes and pedal cars for the kids to use.